So, our initial plan was to hit up Bubble World in Surrey for some Taiwanese beef noodle. I know, I know, it is not exactly the first place that comes to mind when we think of TBN. However, Surrey is not the hotbed of TBN! Furthermore, Pomegranate wanted to try out this thing called TBN since he'd never had it before. Alas, we were foiled as we rolled up to the place. Cash only! Fine, let's do the Pho joint a few stores down... Ah zut! Cash only again! Alright then, let's go to the Japanese restaurant sandwiched in between. Yes, they take credit card and Interact. As we walked into the place, I wondered if it was related to the Maguro Sushi in Ladner? I guess so, since the name is exactly the same. If that were truly the case, I was confident we'd have a decent meal. The one in Ladner is not great; but certainly solid given its location. Despite sitting as close to the windows as possible, the restaurant was dark and once again, I had to pull out the flash even though it was not dark out. Yes, it draws attention and I'd prefer not to use it! So, we ended up deciding to share a lunch box and 2 specialty rolls with the first being the Rainbow Roll. Unlike the one at Sushi Turn House, the one here was significantly smaller. However, it looked significantly better. I thought it was better texturally and taste-wise. The rice was actually quite good with a nice "bite". It could've used a bit more flavour; but pretty good nonetheless. The roll itself consists of a California roll topped with ebi, salmon, tuna, tai and more salmon with tobiko in sections. Clearly shown in the picture, everything including the avocado was fresh which made for a pleasant eat. 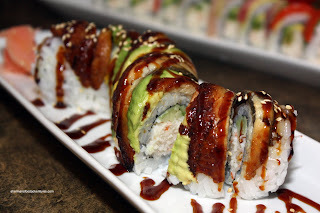 Up next was the Dragon Roll which is also a California rol l with avocado and unagi on the outside topped with unagi sauce. Once again, fresh ingredients and decent sushi rice resulted in a solid roll. Good to eat and definitely carefully made. Our last roll happened to be included with the lunch box. Nothing as fancy as the previous 2 rolls; but a popular one nonetheless. 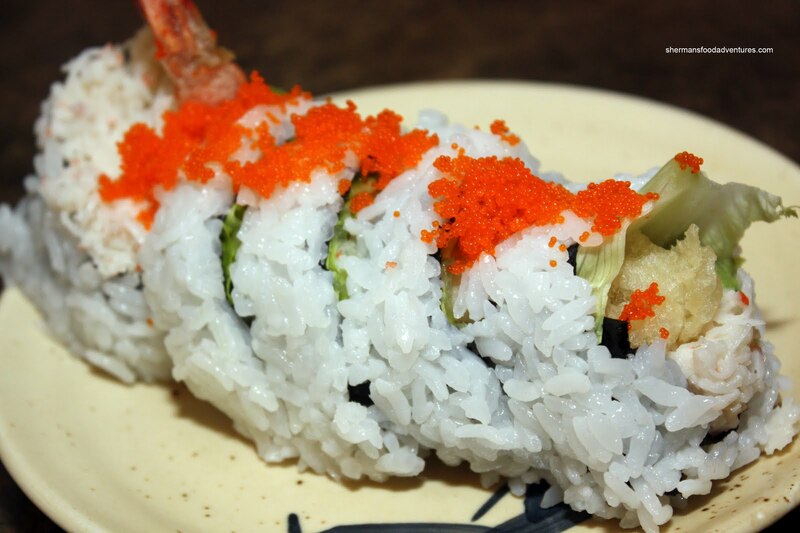 Other than the California Roll, the Dynamite Roll is probably the most popular, especially in bento boxes. I guess it has a lot to do with it being fully cooked, much like the CaliRoll and the BC Roll. As Pomegranate would suggest, it's sushi for beginners. With that being said, we both still enjoy eating it despite never really being our first choice. Maybe we were spoiled from the first 2 rolls. We found this roll only average. 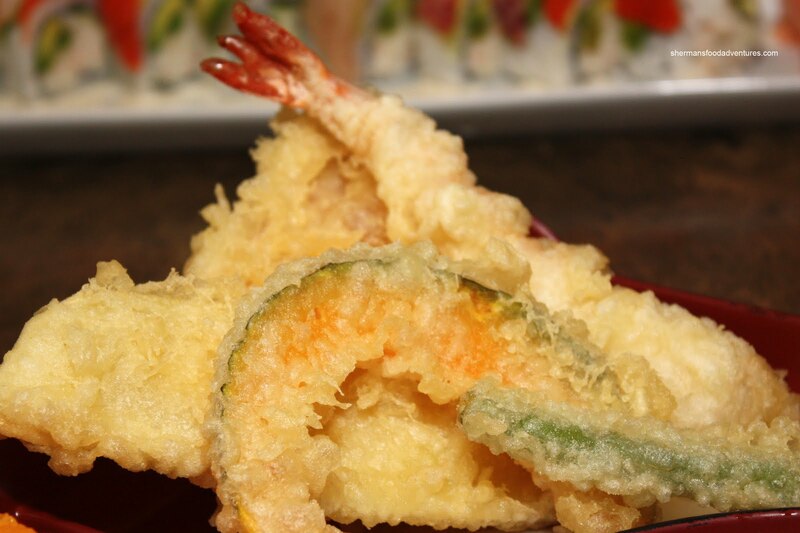 It was pretty large and the prawn tempura was still crisp; but there a bit too much rice. In the lunch box itself, there were a number of items. 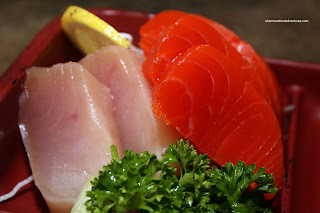 Starting with the Sashimi, it consisted of 2 pieces each of tuna and salmon. I would classify the sashimi good and bad. I found the salmon sashimi to be quite good. Nice texture and natural sweetness. Somehow, I found the tuna sashimi to be too soft. I know tuna by default is pretty soft; however, if you have eaten lots of tuna sashimi, you'll know what I mean. Seemingly like a reoccurring theme, the Tempura was quite decent as well. Maybe slightly heavy on the batter while still being crispy and relatively light, there was nothing to suggest that the Tempura was anything but a good eat. 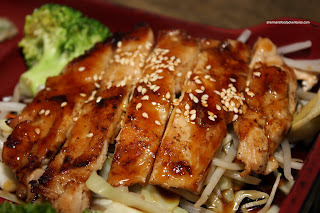 The Teriyaki Chicken was okay, slightly dry but not over-sauced. It rested on a bed of sauteed cabbage and sprouts. It's nice to get some other veggies that are not battered and deep-fried. 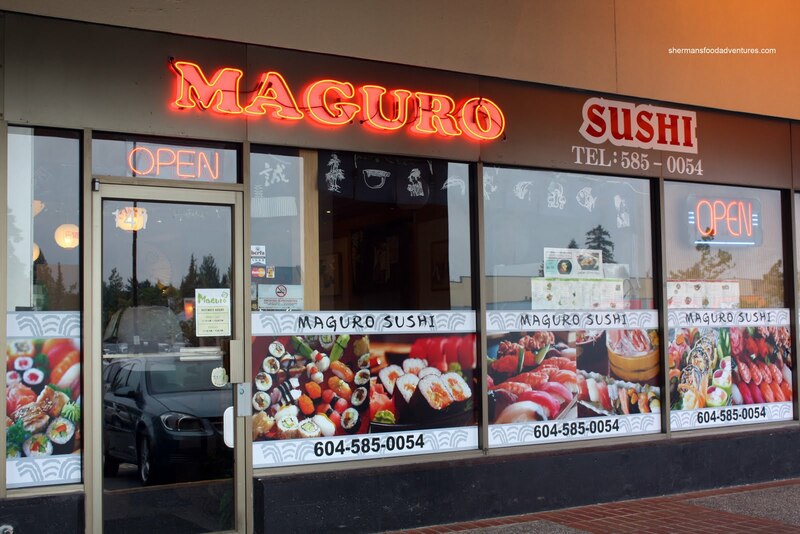 Well, was it worth it to visit Maguro over Bubble World and Pho Vinh on the account they take credi t card? I guess it was. The food in general was quite decent and the pricing fair. Service was friendly with a smile, if not a bit sparse. Not sure if they were trying to be non-intrusive or they just didn't check on us. Wasn't a big deal though. 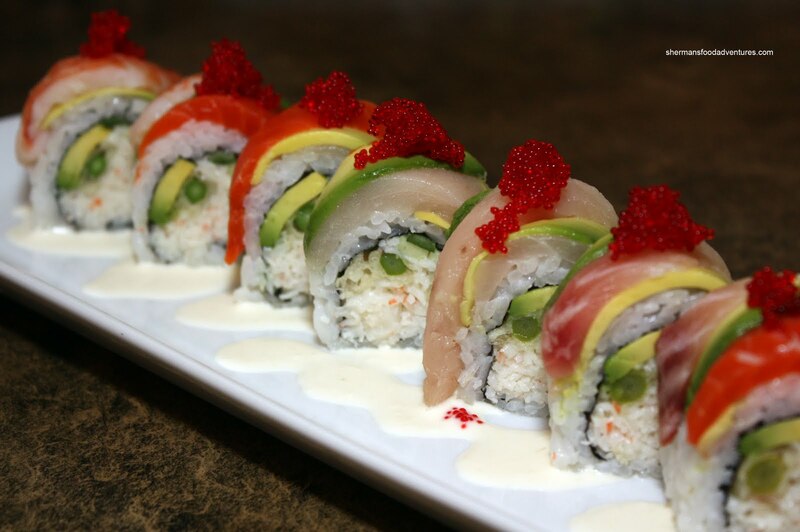 It's nothing that would rival the best sushi around in the GVRD; yet considering its location, it did the job and didn't offend. My friend loves the Chirashi Don here.. and it's only $10 I think. Really cheap and really good. Dave, a good value for sure. Definitely a solid place considering the location.